I ventured south this weekend to visit family in my hometown of Ludington. Every year this small town is filled past capacity by tourists and others for the annual Freedom Festival and firework display. 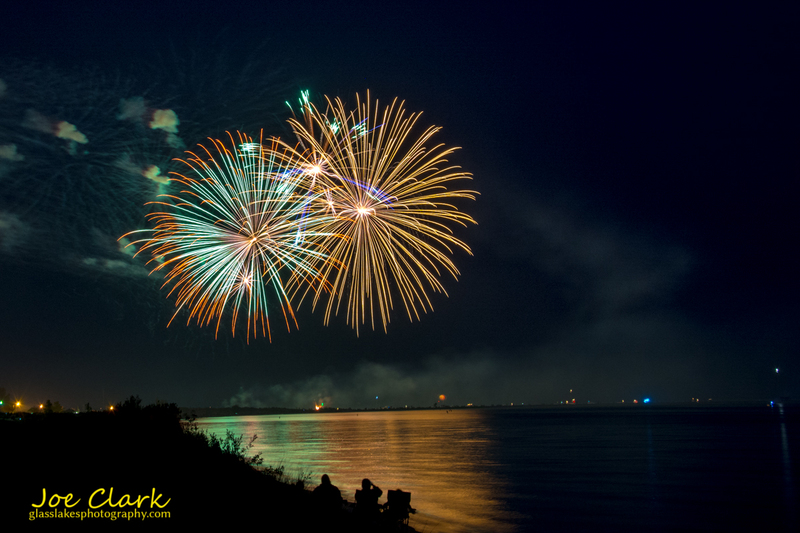 Here is one of my shots from last night’s fireworks. This image was shot from a tripod, on a Nikon D-7100 (backup camera) f/13 8 seconds, at ISO 400. When shooting fireworks, aside from ISO, your aperture is the defining component of the exposure equation. Since the fireworks are usually the only illumination in a dark sky the shutter speed only acts to control the size ans spread of the incendiaries in the frame.